Here is another awesome deal that we wanted to share with you. Starting 4/19, Canada Dry two-liter drinks are on sale for just $1.00 each and these are included in the buy 10, get $0.30 gas rewards offer. 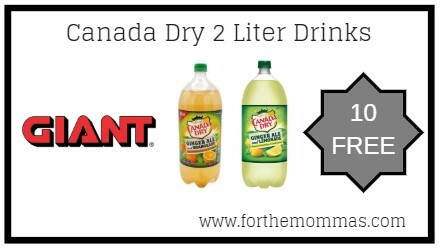 IF these varieties below are included, we can score 10 FREE Canada Dry drinks. Woah!